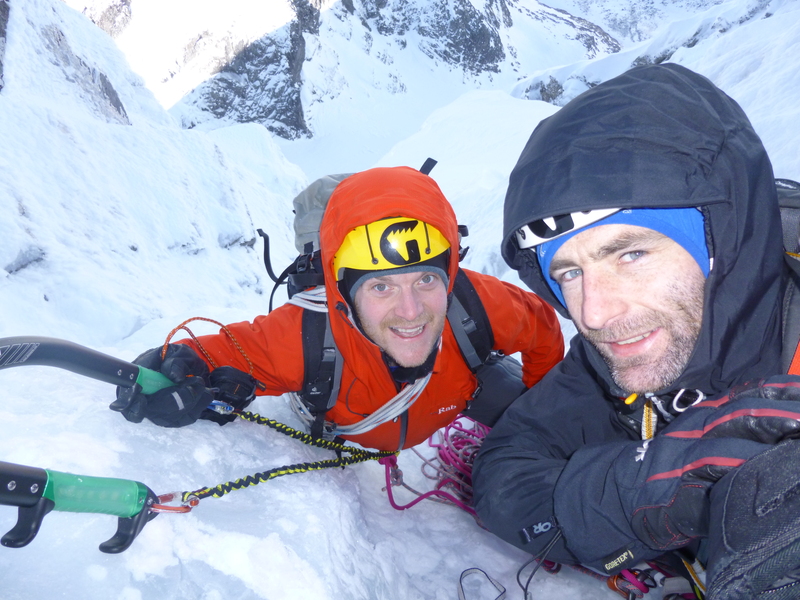 Colin (left) on a subsequent route on Ben Nevis, with a more competent climbing partner. It was all so very long ago now. If you’d asked me I’d have ventured that it must be about 10 years ago, but a check of the guidebook shows it was longer – March 2001 in fact, when so many of the mountains were off limits because of foot and mouth. Colin and I had already had a great day in the Northern Corries, which were ‘open’, climbing Invernookie (III,4), and later in the month we found ourselves staying at the Alex MacIntyre Hut at Onich, where the North Face of The Ben was also open. Open all hours, as it turned out. Route 167 – Harrison’s Direct, first climbed by Ken Crocket and C Gilmore, doubtless in better time and style! We rose early – not early enough as it turned out – and were outside of a cup of tea and away from the hut at 5.30am, driving round to the North Face Carpark and wading through the disinfectant trough to start the weary trudge up the hill. The walk-in to the Ben isn’t particularly memorable in the dim light of morning but I do remember peching up the steep rough section through the trees (now bypassed) and commenting that I’d be a lot tireder by the time we came back down. Colin upbraided me for my negative attitude, but events were to prove me right. It was fully light by the time we were climbing up below the route, but I have no recollection now of how it started: my memory clicks in sharply about halfway up when a steeper step in the snow-ice pushed me backwards and out of balance, with my rucksack adding to the impression I was climbing an overhang. I knew I wasn’t, but it was a relief when the slope leaned back again and I was able to almost walk the last few feet to Colin’s belay. That was it, I thought; that was the one Grade IV bit on the whole route. We swapped over at the belay and Colin led off again, making easy progress until a huge, slabby boulder guarding the entry to a narrow chimney. He got established on this, gained some height and then just had to move left and up to enter the hanging jaws of the chimney. Once in there the angle looked to ease back considerably, so it was just that one step. Having got his shoulders into the chimney, though, there was a moment of almost comic realisation as he found he couldn’t move. There was nothing for his feet to push up on and, with his expanded shoulders being all that kept him from falling back out again, he couldn’t use his arms. I’m not entirely sure how he got himself out of that one: when I followed in due course and found myself in the same position, all I could do was move my forearms, ice axes flapping ineffectually at the loose scree that formed the bed of the gully floor of the chimney. With the luxury of a (very) tight rope I was able to do an ungainly combination of mantleshelf, thrutch and lunge to get my feet in the scree and my axes in the mercifully solid neve above. Easy again up to the belay and then a technically easy(ish) traverse with increasing exposure which seemed to hang over the gully we’d just climbed. Was there another pitch after that? I know there must have been to make up the overall length of the route, but what I remember is the penultimate pitch, which might well have been the crux in different conditions, up a buttress of rock and ice. The light was fading now – where had the day gone?! – and Colin set off up a short slope to a vertical wall, climbed precariously and out of balance. He was worried enough to warn me he was likely to fall off, but not outclassed to the extent that he did and, after a few heart-stopping minutes got onto ‘easier’ mixed ground and disappeared from sight over the top of the buttress. When I came to follow I knew two things: I had no time to waste – the light was going fast – and I didn’t want to try that steep wall Colin had struggled with. I’d seen a snow-filled groove off to the left, though and went for that – only to find I’d been betrayed by the poor light and my cowardice. After a very few feet the snow-filled groove turned out to be a near vertical strip of very thin and unattached snow. Useless. I used what little height I had gained though and managed to scrabble up the end of Colin’s wall, but then had to make an unprotected and rather sketchy traverse to get to where I should have been and to where the rope would once more protect me. It was getting darker by the minute now and, with the security of the tight rope now directly above me I raced up the pitch, axes and crampons striking sparks as they struck and scraped, onward progress little hindered by the odd non-placement. I never actually came off, but I wasn’t always very attached. Finally I was up there with Colin at the belay, which was a massive rock we could lean against and sort out head torches. Well not quite. There was still a small matter of a thousand feet of Grade I/II gully to reach the top of the cliff. Only I didn’t know that. Because trusting Colin (which I should have known better of by then) meant I hadn’t looked at the guidebook. And because it was now fully dark and my headtorch battery didn’t have a lot of life left in it, I couldn’t see even a fraction of what we still had to climb. Colin broke the news that there was still a bit to go, but I took it calmly, having been assured that the ‘climbing proper’ was all done with. Well, again, not quite. We were at the base of a wide gully, maybe 50 feet across, and our side was a lot steeper than the shallower-looking slope at the other side. Colin started ambling across, not bothering to wait for me to put him on belay. The ground was easy enough, but we were at the edge of a cliff, the snows of the gully dreeping aff the edge and down into the dark depths below, and as the snows dreeped so did the rope Colin was attached to, so that when I went to follow there was a massive loop which inevitably got caught on something and caused several anxious minutes of delay as I pulled, tugged, slackened and flipped the rope in a bid to free it. Colin seemed remarkably unconcerned at it all, which annoyed me at the time, although I later realised he was probably so mentally knackered after leading the whole out-of-condition route that he had, for a while, no more f*cks to give. Once the rope was retrieved, though, we started upwards. I don’t recall if we started pitching it, but were soon moving together in as dreadful an example of ‘Scottish death roping’ as you could imagine. We remained tied in at either end of the rope, but moved within a few feet of each other, the distance gradually increasing until Colin was at full rope and I was gasping away 50 metres below, struggling and failing to keep up. If either of us had fallen we were both dead – no doubt at all about that – yet, in the darkness and tired as we were, we were unwilling to relinquish the illusory security. Or perhaps it wasn’t so much security as some tangible maintaining of contact on this great, ridged and gullied mountainside where the only signs of life were the glows from our headtorches, each illuminating just a small circle of snow in front of our faces. We came at one point to a buttress splitting the gully in two, with no indication of which branch we should follow. Colin told me to stay where I was and he would go up a rope’s length to see if he could get any clues and off he set, leaving me grateful for a rest. The neve was rock hard and, though the gradient was never much more than a Grade I slope, we were front pointing all the way, every so often slashing a side step to take the strain off our burning calves. Now I had time to cut and kick a bigger stance, but it gave little relief. Colin eventually called down to say he’s come to a dead end, with steep rock all around. He’d taken a belay and shouted to me out of the darkness to try up the start of the other branch and see how it was. Was this a good idea? Colin up one gully, me heading up another, with a great buttress between? Well, not very. But that’s what we did. I set off up the right branch and kept going until the rope came tight. The angle hadn’t changed so, though I couldn’t see any more than about six feet ahead in the ever decreasing beam of my headtorch I shouted that it seemed okay this way. And shouted. And shouted. I tugged hard on the rope. No response. I shouted and tugged. Still no response. I was on the verge of going back down to see what was wrong when suddenly the tension on the rope slackened, and a few minutes later Colin’s light appeared round the buttress below. “How does that look?” he called. He started climbing towards me. “Fell asleep,” he muttered. It was no reassurance at all to realised I wasn’t the only one who was tired. Being able to nod off in such circumstances was an indication of how much strain Colin had been under for the whole day. But still he forged on ahead. There really was nothing else for it. And there was nothing else for it but for me to follow. My calves burned, my thighs ached. The dimming glow of my headtorch lit up only a small circle of featureless snow in front of me and a great black void plucked at my heels. I lost any sense of how far I had come and there was no indication of any end. For a time, not entirely under my own control, I toyed with the notion that this was hell: Colin and I had fallen sliding down the gully, hurtled off the cliff below and died on the rocks above the Allt a Mhuillin, and this was a calf-burning never-ending ascent into darkness. Knowing it was nonsense didn’t help: the upward journey still seemed endless. By now even cutting a step didn’t help ease the pain. I couldn’t keep climbing without pausing every so often, but stopping offered no relief. Just climb. And climb. It vaguely penetrated that I’d not seen Colin’s headtorch for a while, but the rope still snaked up ahead of me so still I climbed. The end came suddenly. So suddenly and disorientating that I almost fell backwards. The steady vision of fading white just a couple of feet in front of my face was suddenly replaced by a view straight past a recumbent Colin and down over 4000 feet to the streetlights of Fort William and Caol. Teetering for a moment, I leaned back forward and pulled myself over onto the flat ground beside Colin. We lay side by side and shook hands, laughing in relief. We had reached the top. We could have slept right there, so good did it feel, but the clear view down to sea level was a momentary clearing and, out of the shelter of the gully, we were exposed to a tearing wind and intermittent white-out conditions. It was time to go. I confess I suggested making for the summit shelter ( a curving kilometre or more away, but alluring all the same) but Colin had a bearing ready and we set off for the steep slopes above the Halfway Lochan. They were steeper than we would have liked, but it was already 11.30pm and we wanted home. In any case, there were about a million boulders poking through the snow to anchor the snowfields – or so we reasoned. We were still roped at this point – properly short-roped by now – and at one point a large slab of snow dished out of a hollow and slid off downhill, sending Colin somersaulting. I tell him I stopped the fall by jamming my axe behind a rock. It certainly nearly wrenched my arm out of its socket, but the truth was that I happened to have my axe behind the rock when Colin fell – I don’t think my reactions were up to anything so impressive by that time. I think my whole brain was trying to close down. My torch battery hadn’t been up to much even when I switched it on, and had been gradually fading as the night wore on. We were about halfway down towards the Lochan when Colin asked how long my torch had been off: I wasn’t aware that my only light was now the faint glow of the street lamps from the town! But we were past the worst. Once we were below continuous snow cover it became harder to see where I was going, but eventually we reached the path by the lochan and sat down. Sat. Properly. For the first time since the previous morning. How amazingly good it felt was tempered only by two things: one, that we had to keep going, and two, that the apple, which I’d been dreaming of for the last couple of hours, was nowhere to be found. I could have wept. It was coming on faint daylight when we were finally back at the car – even more tired than I had forecast on the walk-in the previous morning – and I drove – more dangerous than any drunk – back to the Alex MacIntyre Hut. Despite all our dreams of food, when we got in all we could face – and longed for – was a cup of tea. And as we sat drinking it in exhausted bliss and relief we looked at the clock: it was 5.30am – exactly 24 hours since we had finished our previous cup of tea and left for a day out on The Ben. Mission accomplished. I doubt if there has ever been such an expert on and advocate for the Cairngorms. 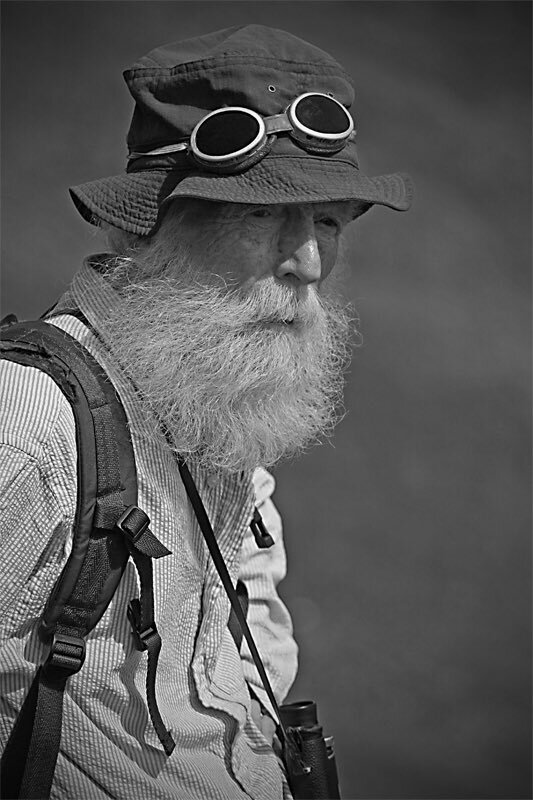 Certainly there have been plenty who have known more about a specific area of study, but Adam Watson, who died on 23rd January at the age of 89, was a true polymath, with a breadth and depth of knowledge equalled only by his obvious love of the mountains he studied. An ecologist, he wrote numerous papers on the flora and fauna of the range, and was an ardent campaigner on conservation issues. That was the ‘day job’ as it were. But his fascination was boundless. As a young man he made many rock climbs with Tom Patey as they researched for Mac Smith’s groundbreaking first climbing guide to the Cairngorms. He was also called as an expert witness, making eminently sensible contributions to the findings of the inquiry into the 1971 Cairngorm Disaster. He was captivated from an early age by the magic of snow, leading to a lifetime’s scientific study of snow and long-lying snow patches in Scotland (which is being carried on by his ‘disciple’ and friend Iain Cameron). The Gaelic language was another interest and detailed researches led to him writing The Placenames of Upper Deeside, a source book widely regarded as the most authoritative. Have I missed anything? Undoubtedly. 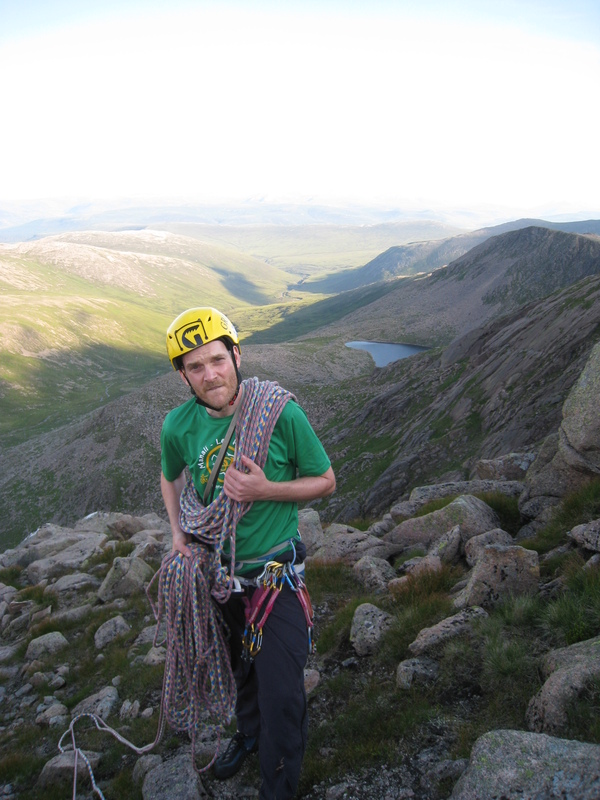 I always disliked the epithet ‘Mr Cairngorms’ landed on him by the media, but it was a shorthand hard to argue with: if you had any question related to the Cairngorms then the best hope of a reliable answer probably lay with Adam. This range and depth of knowledge was one thing, but he had the ability to communicate too, sharing his knowledge through numerous books and articles. He has written more than 20 books, with a late flurry from 2010 onwards accounting for the majority. 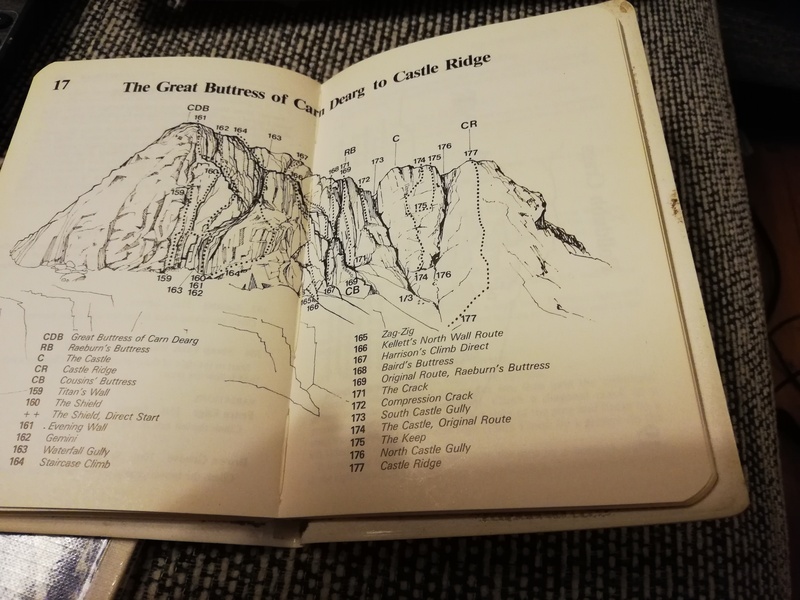 The first I and so many others came across was his 1975 completely rewritten edition of the SMC’s district guide to the Cairngorms. The SMC had – and still has – a whole range of district guides, outlining the mountains and glens of an area and touching on rock climbing, natural and human history etc, but where with most I would pick the book up to read about a specific route up a specific hill, Adam’s Cairngorms guide seemed different. You could certainly find how to get from A to B, but he treated the hills more holistically, telling you about the mountain rather than the route, communicating that breadth of interest that inspired rather than just described. It had been preceded the year before by The Cairngorms: their Natural History and Scenery, written with Desmond Nethersole-Thompson, which for decades remained – and possibly still does -the best general guide to the area’s natural history. Both books remain deeply loved and often referred to, but a special thrill came when he published a partial autobiography, It’s a Fine Day for the Hill, in 2011. The title was perhaps a little understated, for this is an absolute gem of a book and deserves to be far better known. It’s subtitled Hills, Folk and Wildlife, 1935-62, almost as if it was one of his scientific papers, but is a magical tale which starts with his childhood forays into the Cairngorms with his father, his friendship with the legendary Seton Gordon, an early mentor, and his climbs, walks and skiing trips with close friends Tom Patey and Tom Weir. Piling legend upon legend, he also writes much about Bob Scott, into whose family he was virtually adopted. 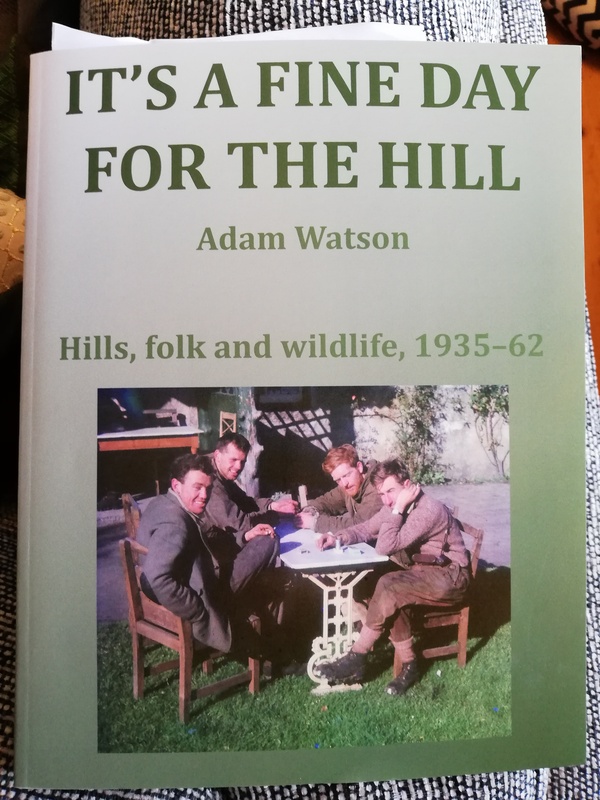 Yet there’s no name dropping about this book: he writes engagingly with love and affection for his friends and mentors and of the love they shared for the hills and the ploys they got up to. It’s A Fine Day for the Hill also introduces Adam’s lifelong love for travelling by ski, his trips to Scandinavia and Iceland (hitching a lift there on a trawler from Aberdeen!) and his early studies into the ecology of the Cairngorms, a field of science which involved far more work in the field than in the lab! It’s an enthusiasm and passion that never seems to have left him. An outspoken advocate for conservation and the integrity of the hills, he backed up his passion with scientific rigour – or perhaps it was his scientific knowledge and outlook which fuelled his passion. Whichever, he was a formidable opponent and a tremendous ally in the many battles between development and conservation interests, respected even by some of those whose claims and arguments he challenged, for whichever side of the fence you sat there was never any doubting his absolute honesty and integrity. His contribution and influence have been immense, and his passing will be felt deeply by all those who love the Cairngorms. His published knowledge remains with us but Adam Watson really was one of a kind and I don’t know if there is or ever will be any one person to fill those so well travelled boots. 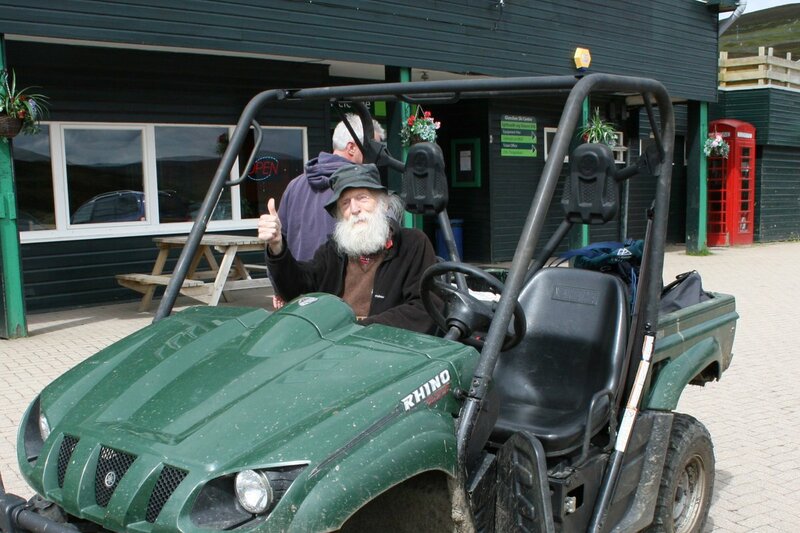 Adam Watson at Glenshee – VIP treatment. Photo courtesy of Iain Cameron. His flurry of publications in his later life was perhaps driven by awareness of his own mortality, sharing some of the vast treasury of knowledge he had accumulated, but it was a long way from being the swansong of a tired old man. Well into his eighties by this time, Adam was still out on the hill, still interested, still gathering data, still seeking. I corresponded briefly but never met Adam Watson, but looking at the most recent of photos and listening to friends and colleague, he still seemed to be a man having “the best day ever”. I’m glad his final illness was a short one. The litter pickers, minus Kirsty, who took the photo. Just back from the hills after taking part in my first Real3Peaks Challenge litter pick, leaving Ben Macdui and Cairn Gorm a cleaner place. What started five years ago as an event clearing up Snowdon, Scafell Pike and Ben Nevis expanded last year to cover more hills and this year will cover 15 events, most happening next weekend, with teams of volunteers picking up all the litter they can find. After volunteering to take part I found myself volunteered to organise the Macdui/Cairn Gorm event. 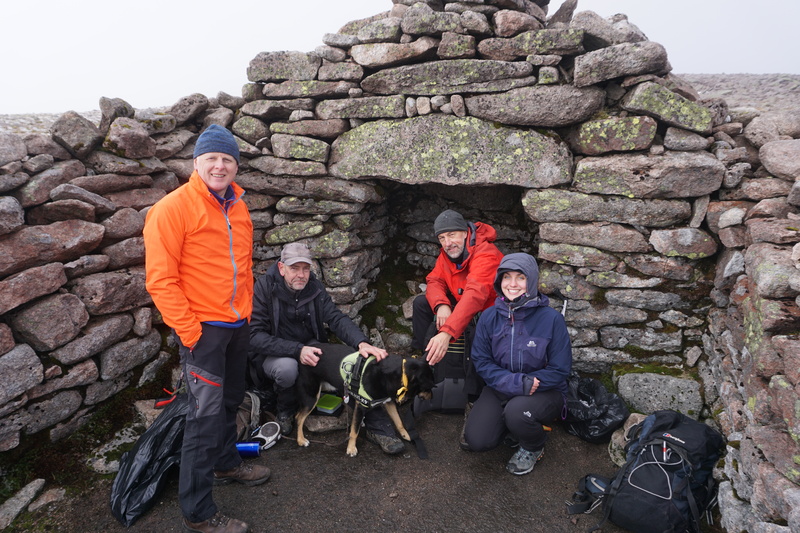 We ended up with a group of just 5 people and one dog, which is small by the standards of Ben Nevis, but it was gratifying to note that a bigger groups would only have resulted in people fighting over pits of rubbish, for, in the whole day, we found just 3.5 kg. That’s still, as some have pointed out, too much, but a lot less than on most other targeted hills. We started from the Coire Cas car park, armed with litter pickers and bin bags and went out across the bottom of the Northern Corries to take the Lurchers’ path up onto the plateau and into the cloud. By the top of Macdui we were sub-zero, with remnants of last week’s snow hanging on in sheltered corners, and after doing a tour of the stone wind shelters we retired to the Sappers’ Bothy for some shelter from the wind – not strong, but biting – while we ate lunch. Then there was another tour of the summit area before, the sky clearing, we headed back north, this time following the path along the top of the Northern Corries and up onto Cairn Gorm, where we found refreshingly little rubbish before descending by Windy Ridge. The easy-to-carry 3.5kg we gathered was heartening to a degree, but any complacency was destroyed just half an hour later as I parked the car near Glenmore Lodge to walk in to Ryvoan Bothy for a night’s kip before heading home. On the short walk in – about 3km – I was depressed by the amount of rubbish I saw. I’d no bag to hand then, but went prepared as I walked out in the morning, collecting a large carrier bag-full of tissues, sweetie wrappers, plastic bottles and drink cans – far more metre for metre than we’d found on the plateau. So is it a depressing picture? I really don’t know. Certainly there seems to be more and more rubbish littered around our hills and glens. When I walk in and out from Corrour and Bob Scott’s Bothies, which I do often, I can’t remember the last time I didn’t pick up rubbish on the way, and of course, there’s the perennial problem of fol leaving rubbish in bothies. But there does seem to be growing awareness of the problem. As we walked out and back to Macdui on Saturday we explained to everyone who would listen what we were doing and all recognised and deplored the need for it. But what’s really needed – apart from for people to stop leaving rubbish – is for more people to start picking up. So make an effort. If you were in your own home and saw a biscuit wrapper lying on the floor you’d pick it up without thinking about it. Yet out in the hills, where we presumably go to get into nature and take pleasure in unspoiled nature, you just walk past. 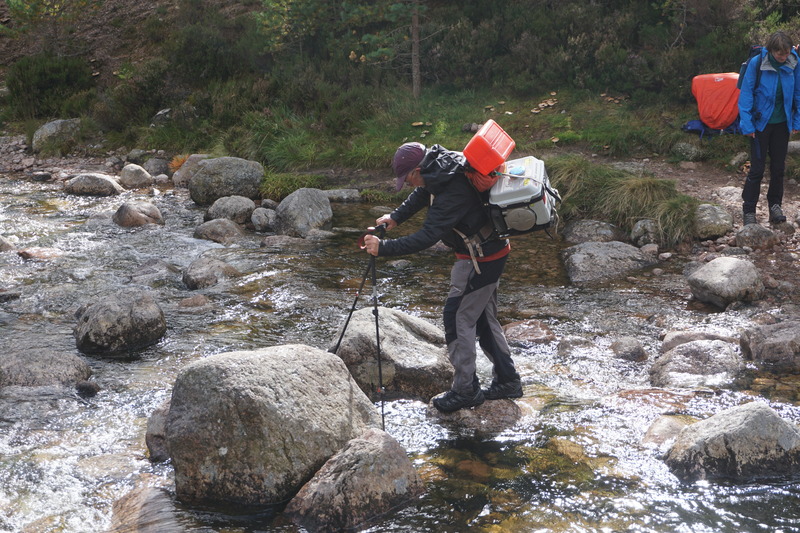 It would be the simplest matter to bend over and pick it up and stuff it in a bag – or even those netting side pockets most rucksacks have these days. I know, it’s not easy sometimes. When I decided to start picking up bits and pieces I found I would stop when other people were about. Why? Was I embarrassed? Why should anyone be embarrassed to be seen picking up rubbish to make the place better for everyone? It’s progress that people are talking about it more, but it’ll be real progress when picking up litter becomes natural for everyone and ceases to be something worthy of note. Broken by vandals after only a week. 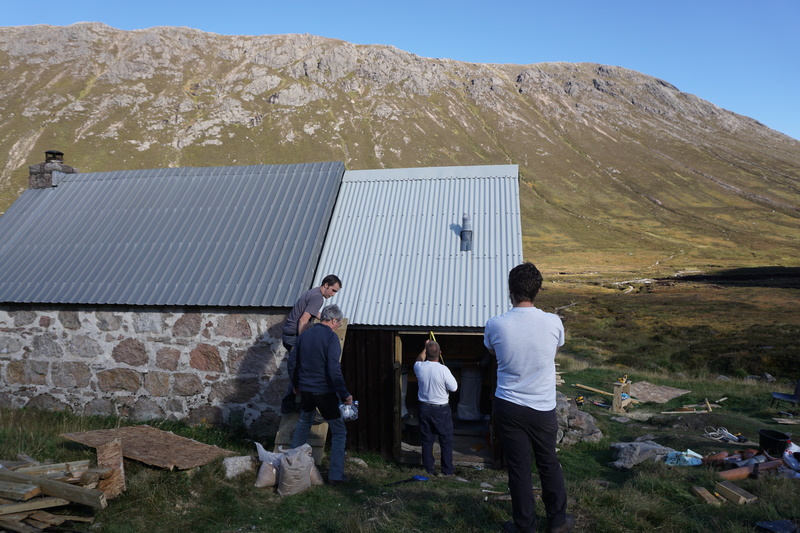 Bothy maintenance isn’t something for the easily discouraged. 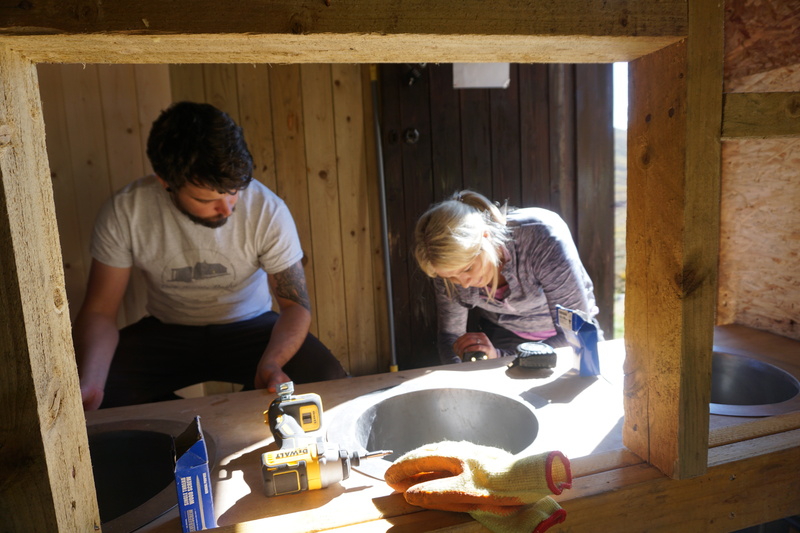 Just one week on from building a new toilet at Corrour Bothy we received a damage report. And worse still, it was deliberate – or at least reckless – damage. Just six days after the doors were opened a group of people camped outside the bothy on a busy weekend decided to hold a late-night party in the toilet, leaving a broken seat and piles of rubbish. 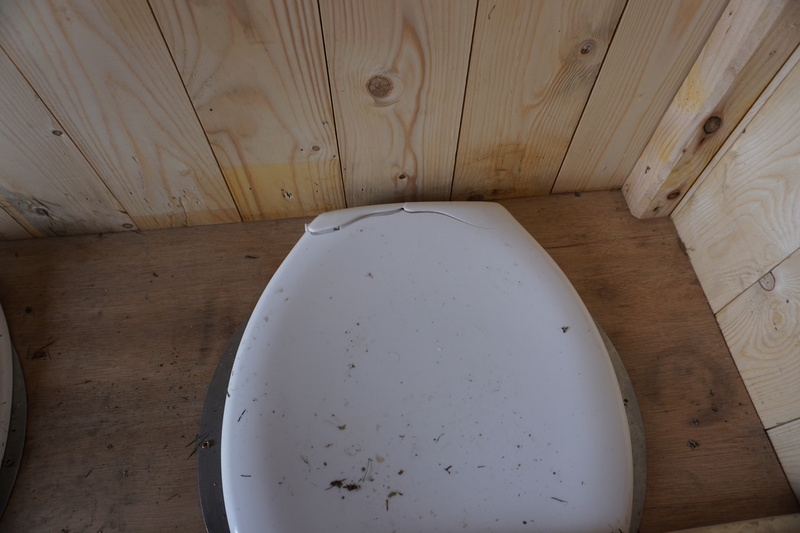 Angry words from other bothy users in the morning seems to have persuaded the culprits to clear some of the rubbish, but last Monday the MBA received a bothy report alerting us to damage to two toilet seats and possible rubbish. With an MBA meeting already planned in Glen Feshie this weekend, I arranged to take a day off on Friday, getting up early and heading straight in to the bothy, laden with two toilet seats and a range of tools and fittings, principal amongst which was my improbably heavy battery screwdriver. Got there by lunchtime and found only one seat was broken rather than the reported two. At first glance most of the rubbish had been cleared, but that was before I found the large rubbish sack containing a roughly bundled Gelert tent, a sleeping bag and quantities of wet clothes. Grateful thanks to MBA members Peter and Kirsten (I hope I have those names right) who were planning to stay Friday night in the bothy and assured me that once they’d burned the coal and wood they’d carried in they would have capacity to take out the abandoned kit. Peter also assisted in the process of replacing a burnt-out grate in the fireplace while the fire was still burning. The skills you learn in the MBA! The grate was a wee additional job, as was fixing a latch to the inside of the toilet door, but though the damage repair was simply dealt with it was particularly galling. This wasn’t wear and tear, nor even normal accidental damage. 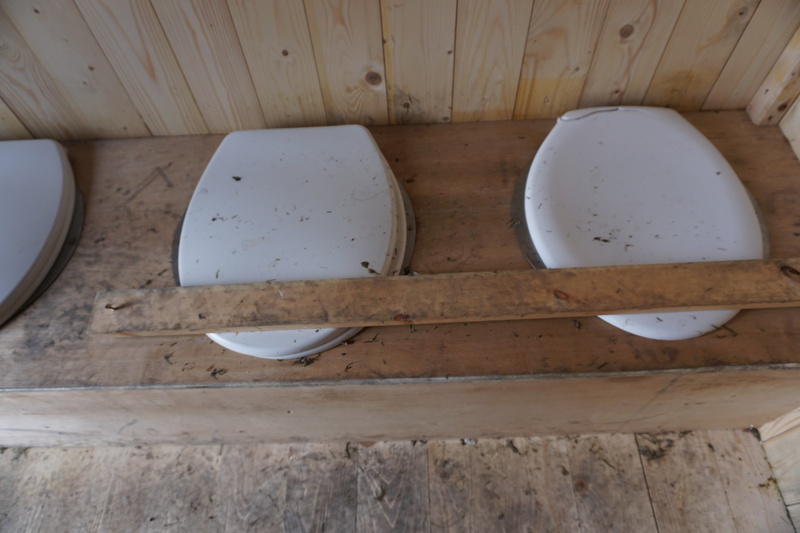 Brand new woodwork and new toilet seats – it’s clear from this photo that the vandals were up there with their feet. This was a group of people, ostensibly outdoors enthusiasts, who put their own selfishness above even a basic respect for the bothy. 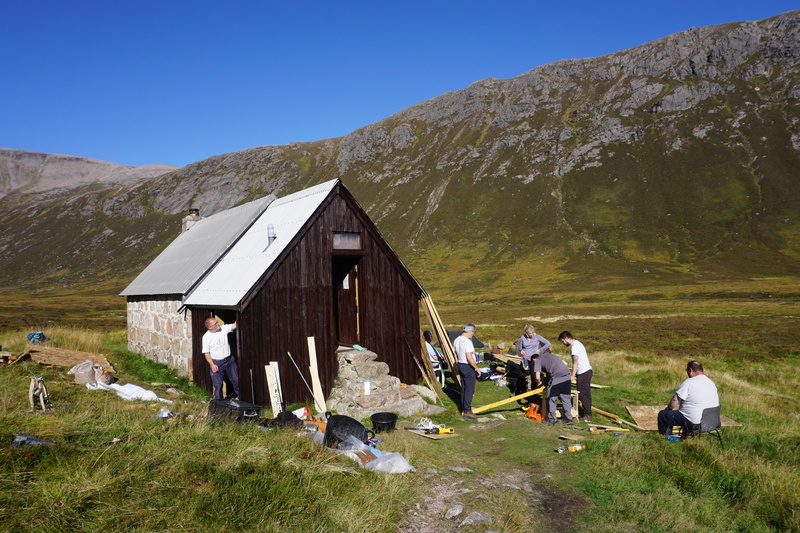 Lots of folk – myself included – enjoy a drink in a bothy, but this was a bunch of ignorant yahoos who clearly had no notion of even reporting the damage they caused and compounded it by leaving several kilos of rubbish and abandoned kit for others more civically minded to remove for them. The repair was a simple enough job to do, but it required a volunteer to take time off work and spend a full day on a repair job. I left my house at 8am, drove up to Linn o’ Dee, walked in to Corrour by 2pm, did the job and walked back to Bob Scott’s for 6pm to face a drive right round the Cairngorms first thing in the morning to get to the MBA area meeting. Any other volunteer would have had a similar timetable. On top of that the expense of petrol and materials was minor, but still significant. I’ve always defended the idea that bothies are for everyone and that their locations should be available to all. Most people do treat bothies and fellow bothiers with respect but rubbish and abandoned kit is growing in quantity and frequency (though it’s always been a problem) and even the fabric of bothies has been taking a hit. Vandalism had for a long time all but disappeared from at least the Cairngorm bothies, but just in the space of a few weeks we’ve had this at Corrour and an instance at the Tarf Hotel – Feith Uaine – where legs were sawn off a sleeping platform to burn in the fire. Both of these are remote bothies, so the culprits have not been unaware of what they were doing; it’s pure selfishness and contempt for others. It seems such selfish behaviour and disregard for others will always be with us, and that ‘proper’ hillwalkers and mountaineers are among the offenders. 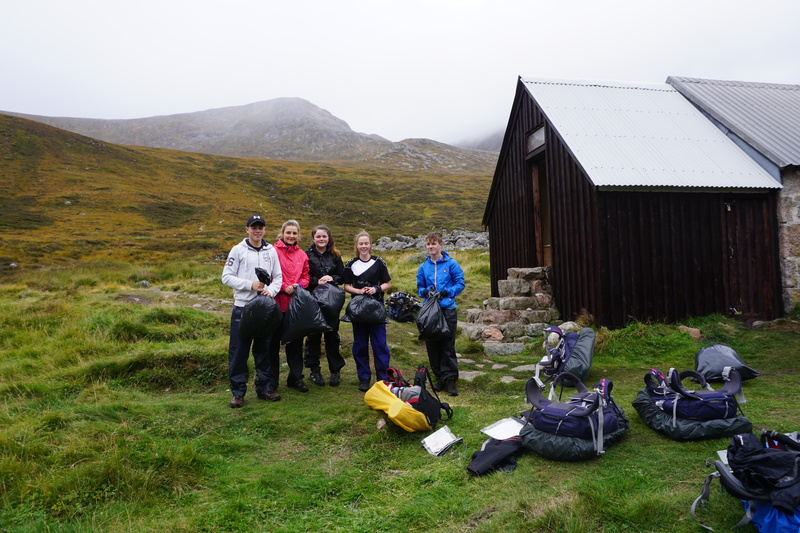 But behaviour like that is infectious: where some will feel guilty at leaving rubbish in a clean bothy, and take their rubbish home with them, if there’s rubbish – or kit – already lying it’s easier to leave your own. Same with damage: where there’s already damage people seem to take less care and have fewer inhibitions about causing more themselves. So it’s important that bothies not only are looked after but have the appearance of being looked after. If you find rubbish in a bothy you’re doing a bigger service than you realise if you burn it or carry it out. If you find (or indeed cause) damage report it to the MBA via their website, which will allow a repair to be made as soon as possible. We have a wonderful resource in our bothies, and this weekend alone I met so many people from so many different countries who spoke enthusiastically about the existence and joy of bothies. It’s up to us all to keep them going and it’s so easy to play a part. Please be a part of the answer rather than a part of the problem. 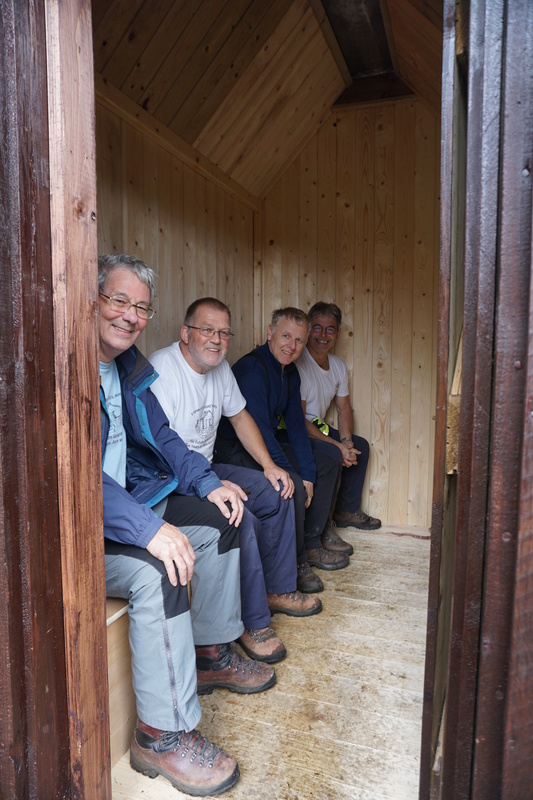 Following extensive work over the first two weekends in September, the toilet at Corrour Bothy – closed since the end of June – has now been reopened. 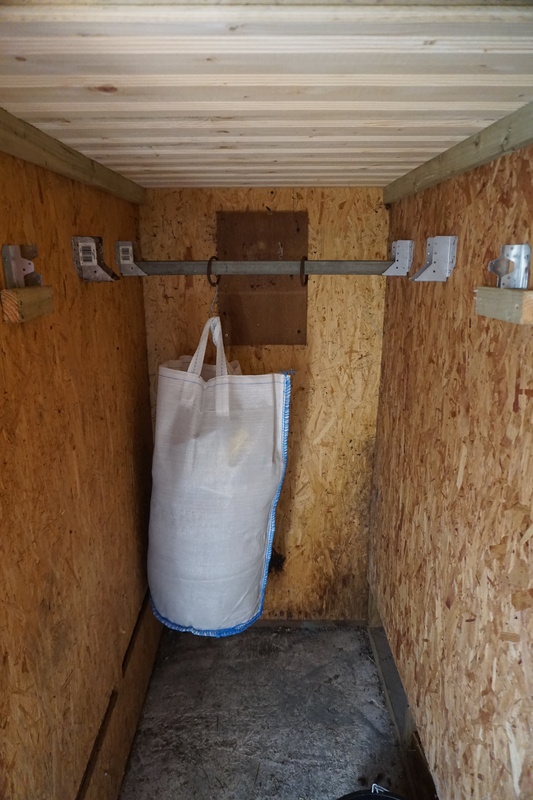 Other than that the number of seats has been doubled to four, and that two locked doors have been added front and rear, bothy users won’t notice any difference: it’s still a dry toilet with the waste collected in bags under stainless steel tubes. It’s not absolutely necessary to go in groups of four! And you don’t have to make communal visits. For starters only two of the four seats will be open for use at any one time. 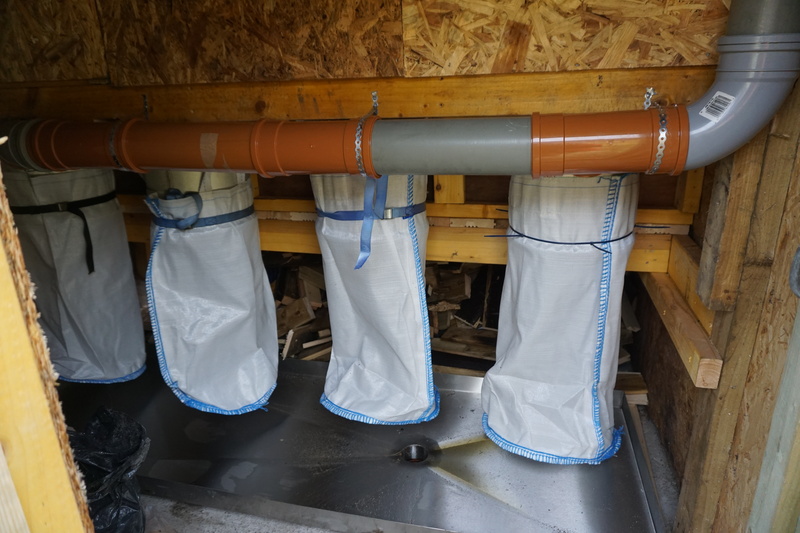 The reason for the four seats is so that two can be left open while the bags under the other two are left to drain prior to being moved round to the storage area before final removal once a year to a waste treatment facility in Aberdeen. The purpose of the redesign and rebuild was to lessen the burden on the small group of volunteers who for the last 10 or 11 years have been making often monthly visits to maintain the toilet, its remote location meaning each visit used up a whole day and sometimes two. With two seats always open maintenance visits should be cut to once every two months. The two new doors are for maintenance only and are kept locked for public health reasons, but for those who really have to know, the front one gives access to the shite store, where bags of human waste will hang until being removed; the back door gives access to the rear of the toilets, where sacks of fresh human waste are hanging. Neither is particularly pleasant. Inside the new waste storage area. The bag in the photo is a dummy, but through the year this area will fill with human waste – a charming thought. The conversion was a major enterprise, months in planning and execution. First stage was working out the layout and plans for the new toilet, ordering new steelwork for the toilet tubes and drip tray below, and working out the types and quantity of wood, piping, fixings and other materials that would be required. 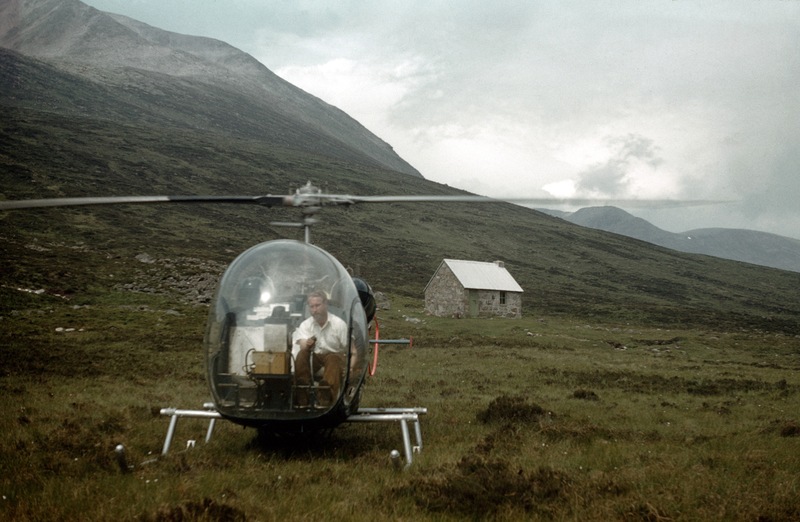 It all started to become real towards the end of June, when materials were due to be helicoptered in for the Garbh Coire Refuge renovation. Since the MBA was already paying for the hire of a helicopter it made sense to add on a few extra flights to take in the materials for the rebuild – and remove the existing interior structure. 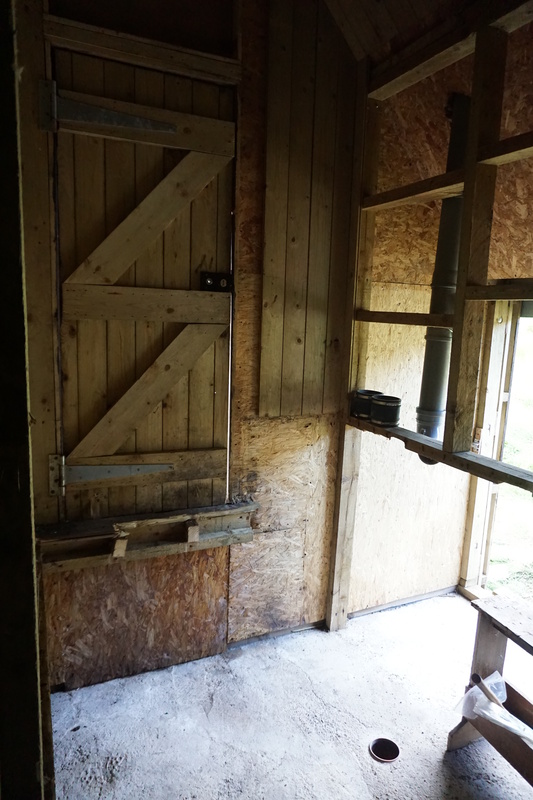 So while the new materials were crated up for transport (project manager Kenny Freeman cunningly making the crating from some of the wood destined to be used in the construction) myself and two other volunteers walked out to Corrour and totally demolished the interior of the toilet annexe. While we then went on to help at the Garbh Coire, others (including my fellow Corrour maintenance organiser Neil Findlay) packaged it for helicopter evacuation and sent it out as the new materials were dropped off. However that was as far as the job could be progressed at that time. 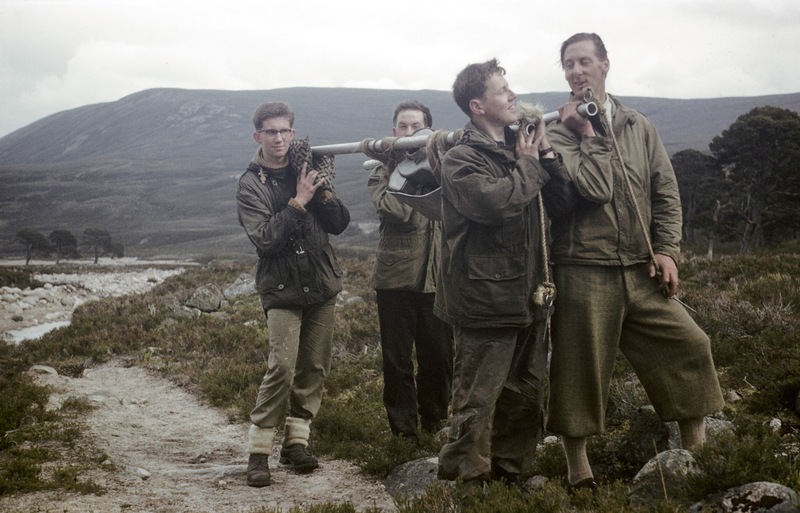 The skilled woodworkers and project manager were all up at the Garbh Coire and various personal commitments meant it was September before the right personnel could gather again to complete the job. In the meantime the shell of the toilet block had to remain closed right through July and August. Come September, the first two weekends of the month were a hive of activity as the long anticipated project finally came to fruition. Both Friday nights everyone met at Bob Scott’s Bothy and walked in early on the Saturday mornings for a frenzy of joinery, toilet fitting and sundry repairs, including a couple of roof repairs, a new chimney cowl, and the building of a sleeping bench inside the main bothy building – and a fresh coat of woodstain on the outside. Midges were a nuisance during the work party. It’s not easy seeing to work through a midge net. I was only present for the second weekend, but afterwards Kenny Freeman commented on how smoothly it had all gone considering the amount of work done – the right mixture of people with particular skills and of willing labourers fetching, holding and carrying. Comments from passing walkers were encouraging, and hearteningly, one of the Aberdeenshire guides, Garry Cormack, had left a bottle bag in the bothy between the two weekends, containing whisky and rowies, with a note saying it was for the volunteers! 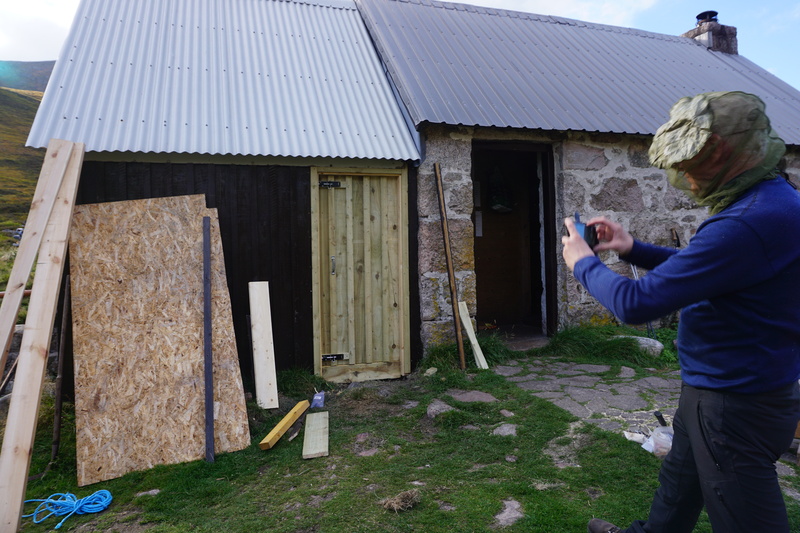 We also had help from a Belgian/Italian couple who had intended staying in the bothy but put up a tent instead and pitched in to lend a hand, the husband sawing away well above and beyond mere politeness. And a Duke of Edinburgh leader who stopped to chat on the first weekend came back on the second with five pupils from Banff Academy working towards their silver award. All had volunteered to walk in (on what turned out to be a dreich and rainy morning) to help us carry out all the tools and waste at the end of the work party. The walk-out is the forgotten part of many work parties. We had used a great number of power tools and hand tools during the two weekends and all of them, plus the non-burnable rubbish produced by about 25-30 people, had to be carried out. Much came in by helicopter, but all had to go out on people’s backs, including an incredibly unwieldy chop saw (thanks Ian Shand) and a weighty and bulky generator (thanks Paul Atkinson and Andy McNicoll). So that’s it. We did run out of woodstain, and a couple of odds and ends were forgotten (including a bolt for the inside of the toilet door, so those with any notions of privacy will have to whistle while in residence for the next couple of weeks) but all in all a successful project and a great satisfaction. The happy crew, ready to depart after completion of the new toilet. A job well done. 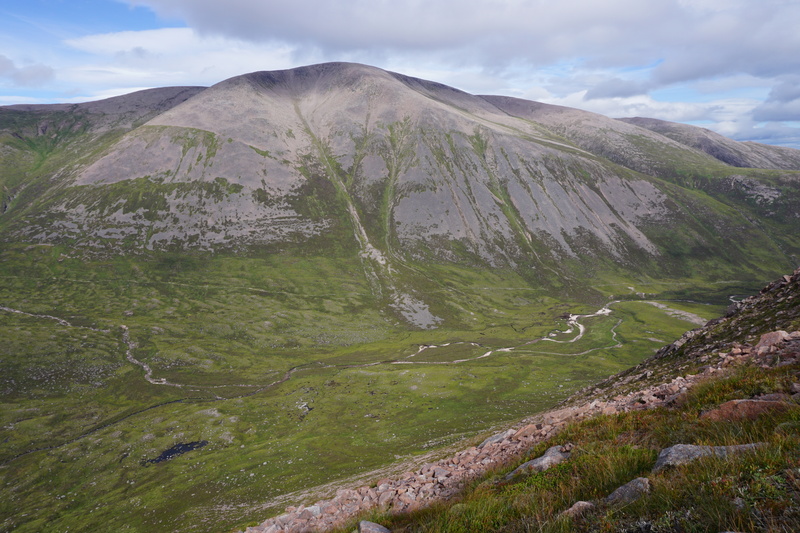 I’ve moaned often enough in this blog about rubbish left in bothies, and get just as annoyed seeing it scattered along paths and around the hills. So this year I decided to get involved in the Real3Peaks Challenge, a national campaign which gets volunteers up well-known hills to do a deep clean, clearing all the litter, new and old, that they can find. 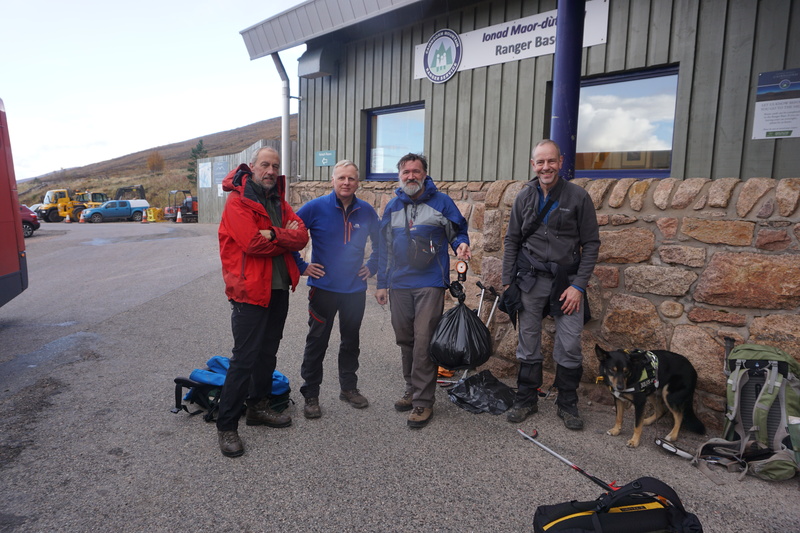 On Saturday 6th October, a week ahead of the other events, I’ll be organising a group of volunteers meeting at the Corrie Cas Car Park on Cairn Gorm and walking in to do a clear-up on Ben Macdui. Weather can be uncertain in October, so, while I’m looking for volunteers to help, anyone considering coming needs to have all the proper kit and be completely confident in their own hill skills and navigation. 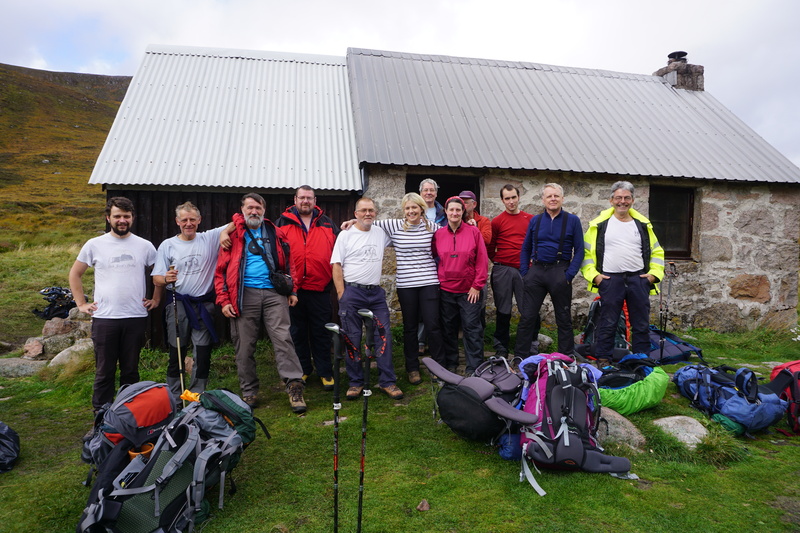 The Real3Peaks Challenge was started by Richard Pyne of Rich Mountain Experiences. 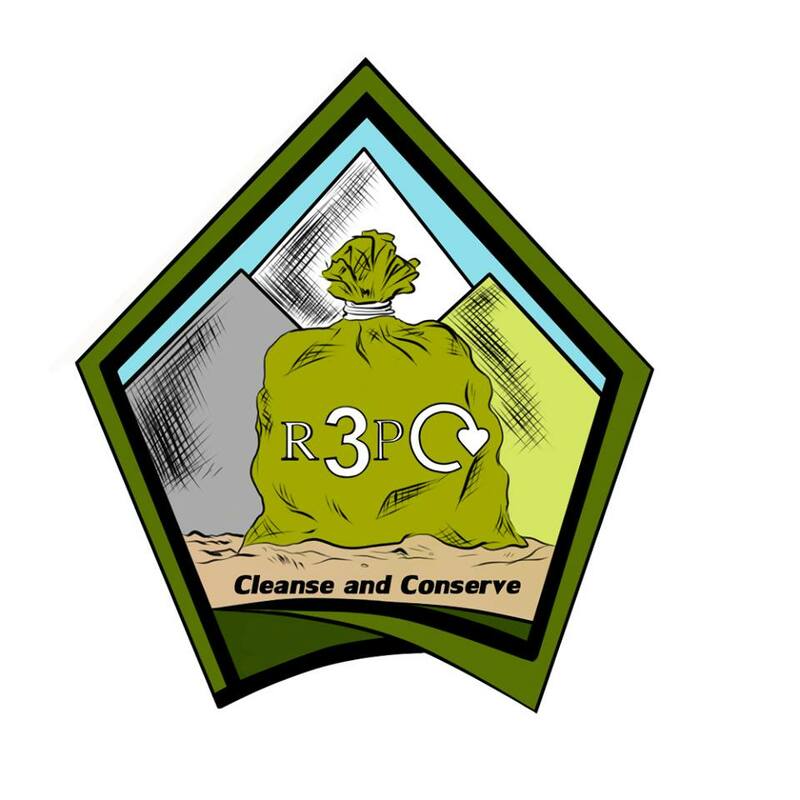 Back in 2013 he and some other guides grew sick and tired of the amount of rubbish they were coming across while leading groups up Snowdon, Scafell Pike and Ben Nevis, which when done in 24 hours constitute the Three Peaks Challenge. Rich and the others organised groups of volunteers to hold a clean-up on the three hills. Over the years the original tally of three hills has grown and this year, the sixth challenge, will see clean-ups at Ben Nevis, Scafell Pike, Yr Wyddfa/Snowdon, Ben Macdui, Ben Lomond, Lochnagar, Goatfell, Coniston Old Man, Pen y Fan, Yorkshire 3 Peaks and parts of the North York Moors and the Peak District. You can volunteer to help out on Macdui through the Facebook event Remember that the Macdui event is on 6th October, a week ahead of the other events. Some time ago I wrote of the bridge-building activity in 1959, when several footbridges were constructed to replace existing structures past their best. Malcolm Douglas, the first Nature Conservancy Council warden on the Mar side of the Cairngorms, told how he had been involved in a number of projects, including bridges over the Derry at Derry Dam, over the Glas Allt Mor, and, of course over the Dee at Corrour. 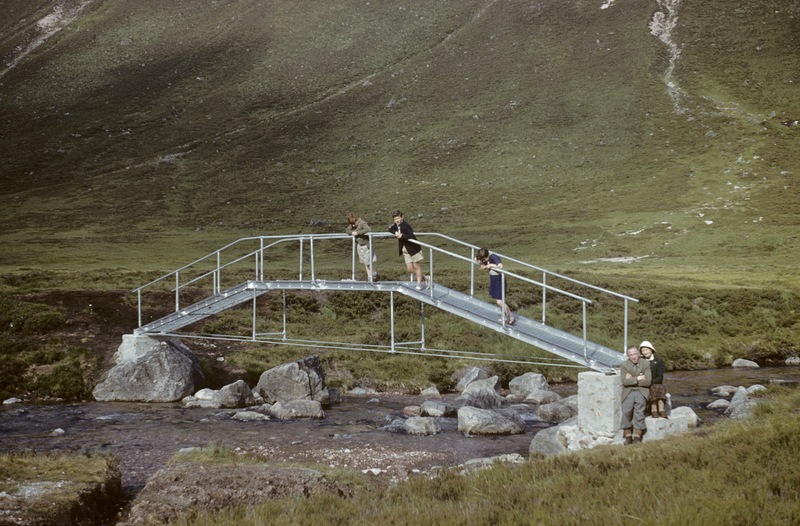 There had been a bridge of sorts at Corrour too. After a drowning accident in 1950, a wire bridge was built, described by Syd Scroggie after a visit in 1955 as a telegraph pole driven into each side of the bank with two parallel wires slung between them. I’ve heard other reports that the wires weren’t always very well tensioned, leading to some amusing or desperate crossings, depending on whether you were the one doing the crossing or the watching! 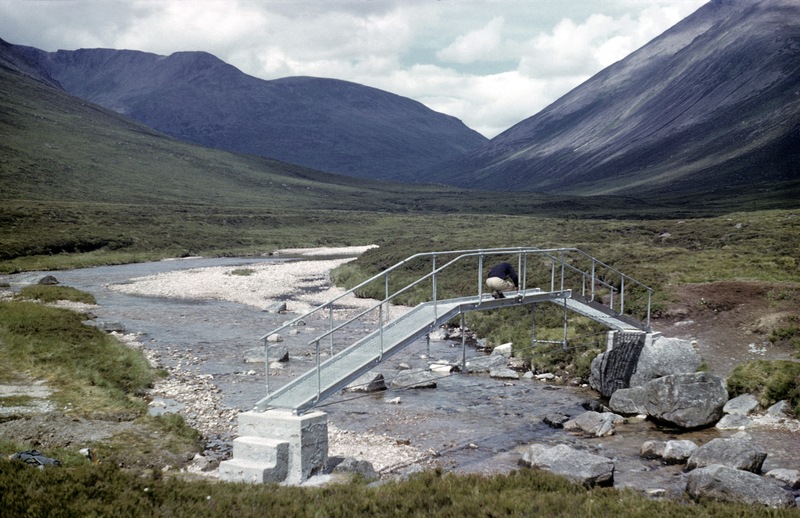 The need for replacement seemed quite clear, and the ubiquitous Dr George Taylor, of Cairngorm Club and Aberdeen University designed aluminium bridges for both Corrour and Derry Dam. 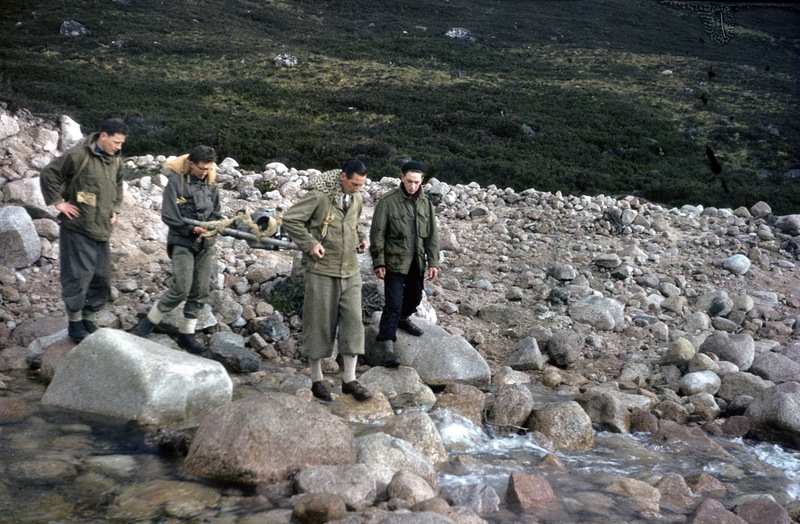 They were financed by the Nature Conservancy Council and all built in 1959, with Malcolm and Bob Scott among those helping the students at Corrour. 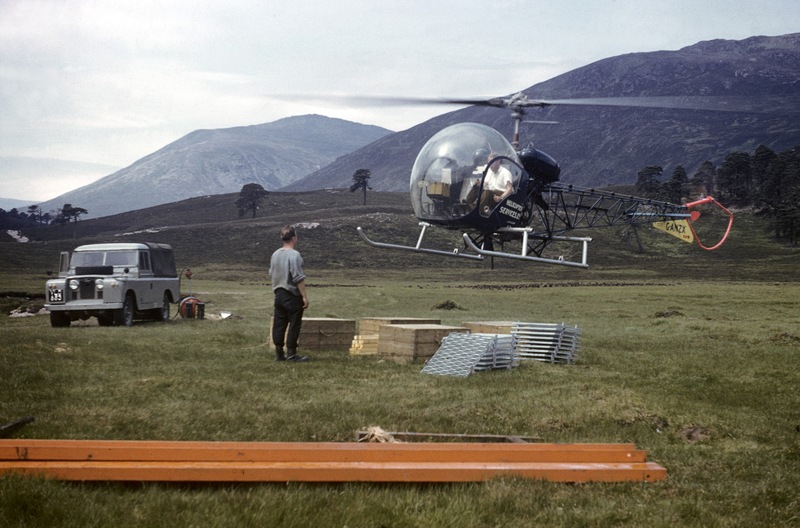 Materials were flown to the various locations by helicopter, an option that had been considered and rejected on cost grounds by the Cairngorm Club for the erection of the Luibeg Bridge just over 10 years previously. However Malcolm said that the cost and time to move the materials by manpower and horsepower would have been greater. 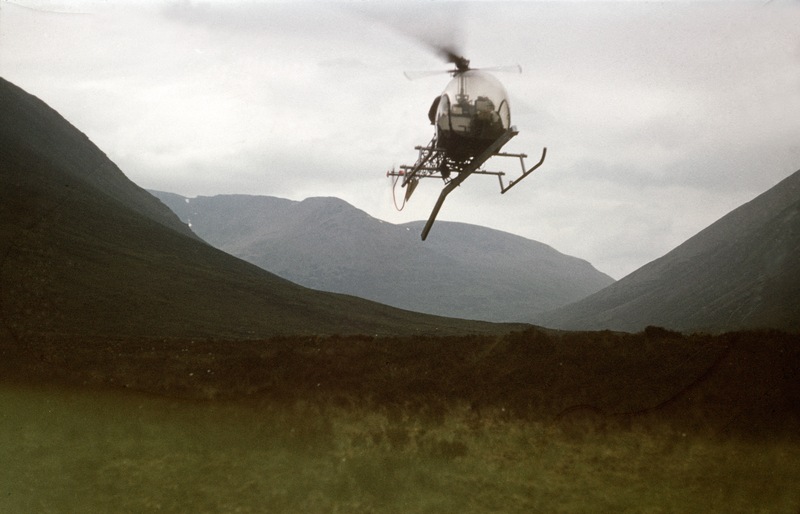 “When the chopper first arrived in Braemar it caused great excitement. All materials had been trucked into the flat opposite Bob Scotts cottage and loading and some unloading labour at delivery sites was freely given by Bob and other Mar Lodge stalkers, plus some Braemar locals whose reward was a flight on the chopper to and from the delivery sites. 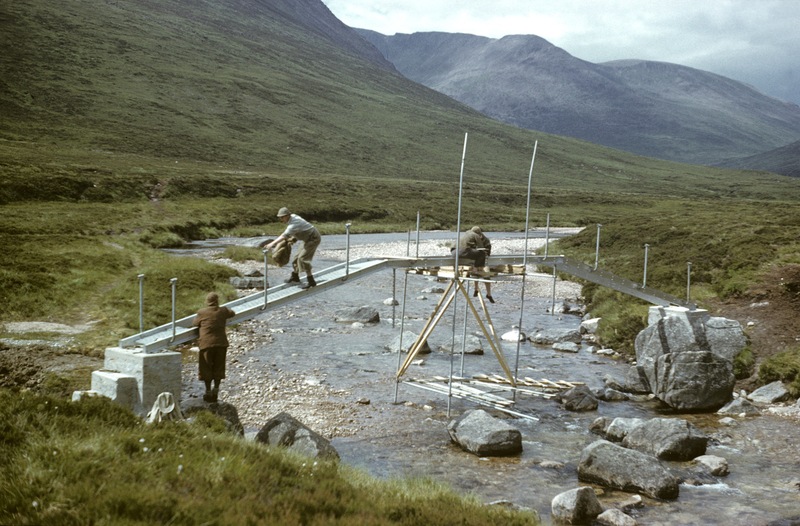 Recently a great set of pictures emerged depicting the building of the Corrour Bridge, from the Bill Ewen collection, courtesy of his grandson Alasdair, which can be seen below. The helicopter coming in to land to pick up a load from the Derry Flats opposite Luibeg Cottage. 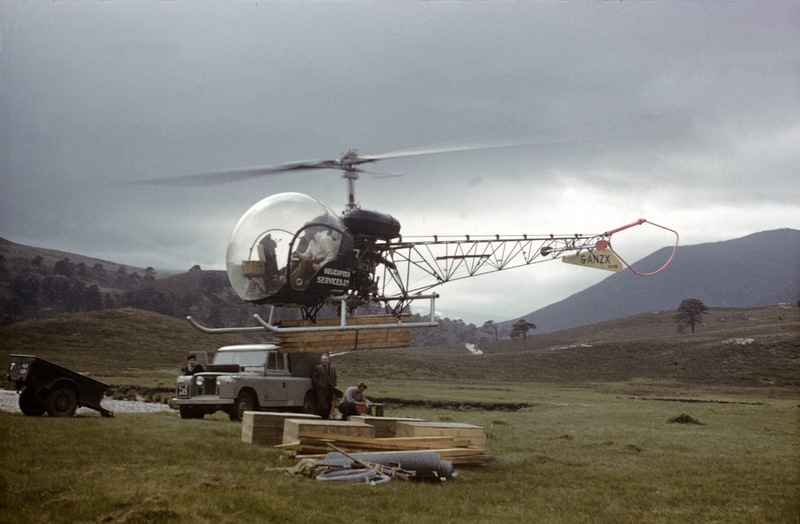 A load of wood slung under the helicopter, cradled between the landing skids. No long-line carries in those days. Carrying in one of the metal bridge girders, Braeriach behind. Carrying a rock drill to the bridge site. NCC warden Malcolm Douglas is at the front. Carrying the rock drill. Students, with Malcolm Douglas at the right of image. Both sides and the decking now in place. 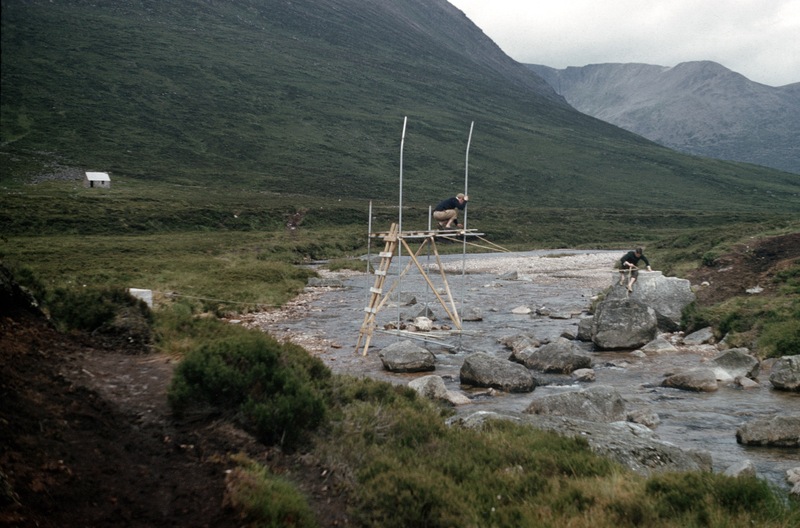 That’s Bob Scott standing on the left of the picture, and probably Malcolm Douglas standing up on the bridge. And the finished article. I think that’s Bill Ewen in the picture, with his family. A good piece of work still going strong almost 60 years later.